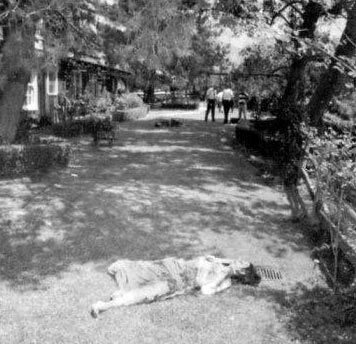 Below are the police investigation photos of the horrible murders that went down at the Tate and LaBianca Residences at the hands of the wacked-out Manson family on August 8 and 9, 1969. Many horrific things happened that night to a bunch of innocent, fun-loving people, the remains of which can be viewed below. While the perpetrators were not put to death for their crimes, they are currently rotting in jail as we speak and will hopefully never be unleashed on the public again. 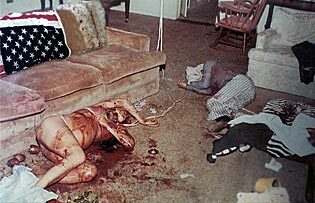 You can scroll down to see the Sharon Tate Crime Scene photos, and we also recommend you go here to read the complete story of The Manson murders and how Sharon Tate was killed in the Tate/LaBianca murders. But consider yourself warned, the photos below are not pleasant to look at. Scroll down to see the Photos. But be forewarned! They are quite gruesome so if you don't like seeing such things, please move on. You've been warned! 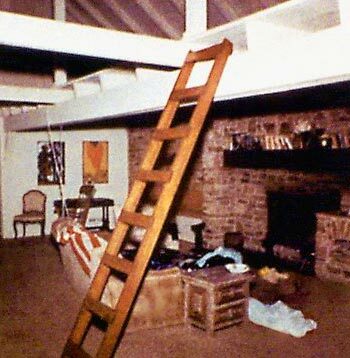 The living room where Sharon Tate and Jay Sebring were found murdered. Notice the white rope tied around each of their necks and draped over the high cieling beam between them. 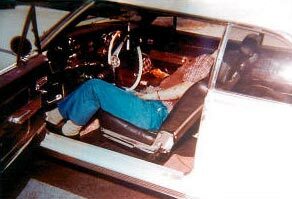 Stephen Parent as he was discovered in his car. Parent was exiting the property just as the murderers were arriving. The Tate/Polanski living room where the bodies of Sharon Tate and Jay Sebring were discovered. 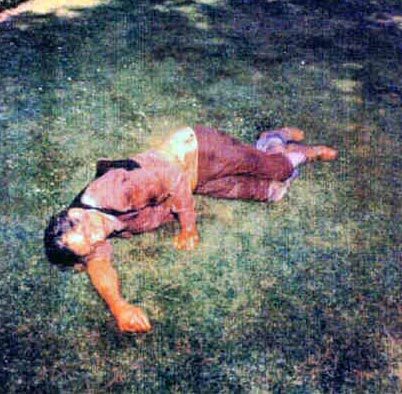 Abigail Folger's body was dicovered on the front lawn, most assuredly, she was literally running for her life. 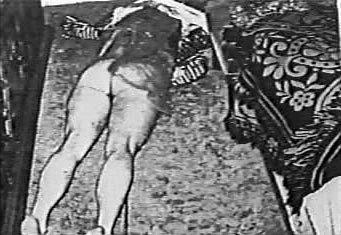 Wojtek Frykowski's body as it was found just outside the home's entrance. 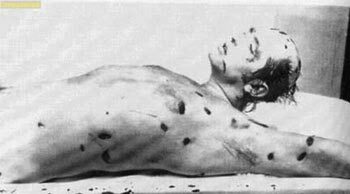 Wojtek Frykowski received more than 50 stab wounds. Sharon Tate and Jay Sebring were discovered with ropes tied around their necks. 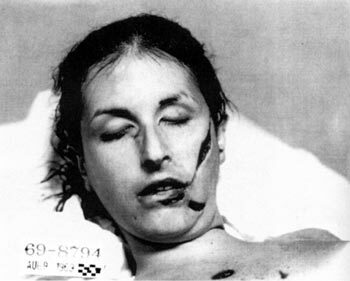 Lacerations to the face of Abigail Folger. 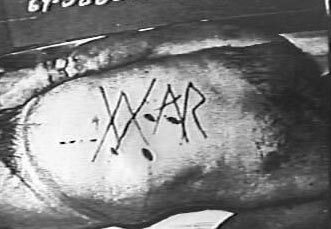 Leno LaBianca's body with the word "war" carved into it. 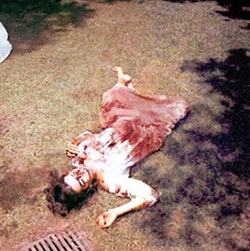 Rosemary LaBianca was found in her bedroom with a bloody pillowase pulled over her head and a lamp cord tied around her neck. Go here to read about the Sharon Tate and LaBianca murders and learn what happened, who did it, and why they should never get out of jail.